Removing these cards will remove cards from your spaced repetition queue, so proceed with caution. These actions cannot be undone. 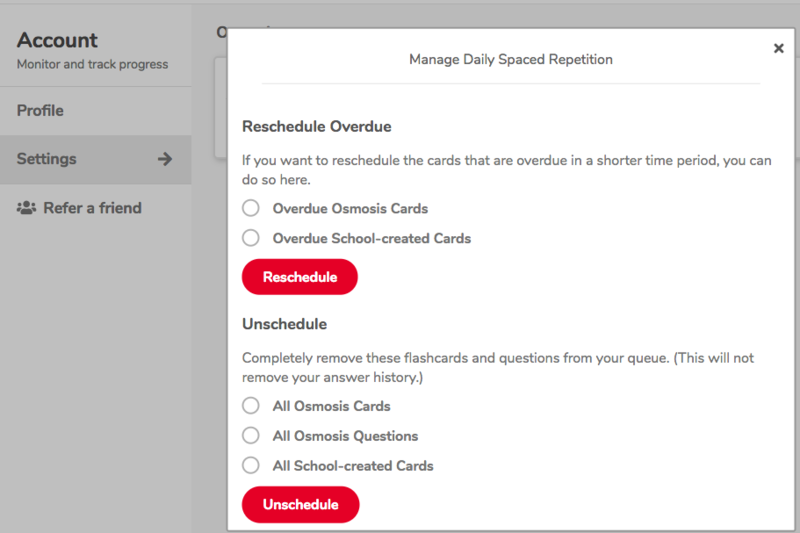 Please note: unscheduling cards will remove them from both your spaced repetition queue and your flashcard queue.